Kumasi Asante Kotoko meanwhile, were held to a 1-1 draw away to Bechem United. Kojo Achau Owusu scored in the first half before a second half penalty from the impressive Abdul Fatawu Safiu rescued a point for CK Akonnor’s men. Hearts of Oak made the short trip across town to Dansoman to face city rivals, Liberty Professionals. Kojo Obeng Junior scored 5 minutes before half time to give Kim Grant’s men the lead, and that proved to be the winner despite a late surge by Liberty. The defeat is Reginald Asante Boateng’s men’s second in the competition, and slip to 4th on the log. 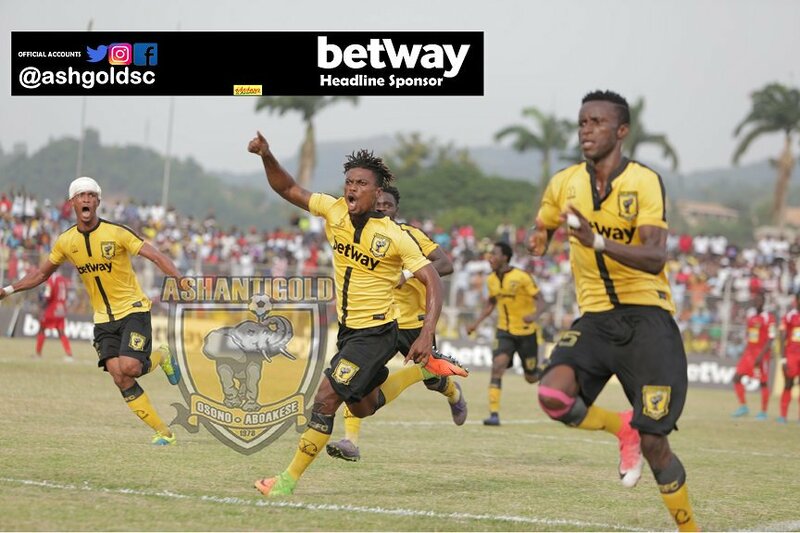 In Obuasi, Amos Addai’s 11th minute strike was enough to hand Ashantigold victory over Medeama in the “Betway Derby”. The win was their first since the opening day win against Eleven Wonders. The defeat is Medeama’s first in the competition. Richard Osei Agyemang (Ashgold) and Hemann Camara (Medeama) were both sent off in the 70th minute for reckless play. There was a first win for Eleven Wonders in the NC Special Competition after they beat Berekum Chelsea 2-0 at the Nkoranza Park. Fuseini Ganiu and Solomon Osei Afriyie scored the goals for Enos Adepa’s men. 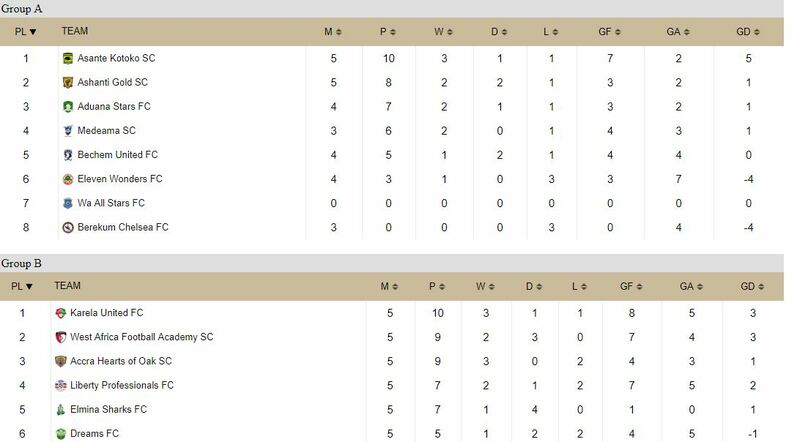 Berekum Chelsea are winless after 3 matches. Karela United returned to winning ways at the CAM Park, recording a comfortable 3-1 win over Inter Allies. Darlington Gyanfosu, Isaac Kwain and Patrick Yeboah scored to give Johnson Smith’s men a 3-0 first half lead before Abdallah Waris scored a second half consolation for Rashid Iddi’s men. Elsewhere, Dreams FC were held to a 1-1 draw at home to WAFA. Kingsford Opoku gave the visitors the lead in the first half before Issaka Ibrahim pulled the home team level in the second half. Ebusua Dwarfs and Elmina Sharks drew 0-0 at the Cape Coast Sports Stadium.